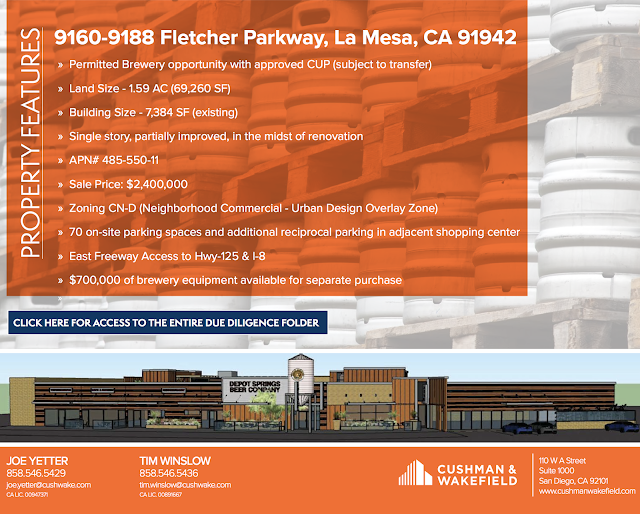 It's been nearly two years since we announced what we thought was the impending debut of Depot Springs Beer Co. in La Mesa, but in the hospitality business, plans frequently fail to come to fruition. 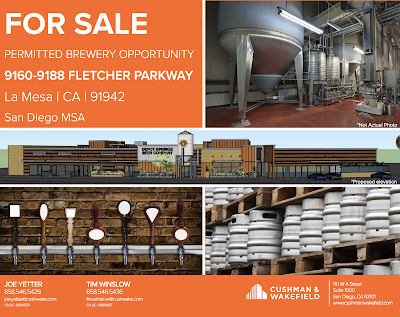 Despite never opening, the combination brewery, restaurant, distillery and entertainment space is allegedly 70% complete and is ready for new ownership. Depot Springs Beer Company and Platform 1888 brewery, restaurant, distillery and event center have been under construction in La Mesa for almost three years, aiming to bring together over 25,000 square feet of dining, entertainment and a brewery and distillery all under one roof within a shopping center at 9176 Fletcher Parkway. The dream of La Mesa native Aaron Dean, Depot Springs was considered by many to be the most ambitious hospitality projects in small town's history. 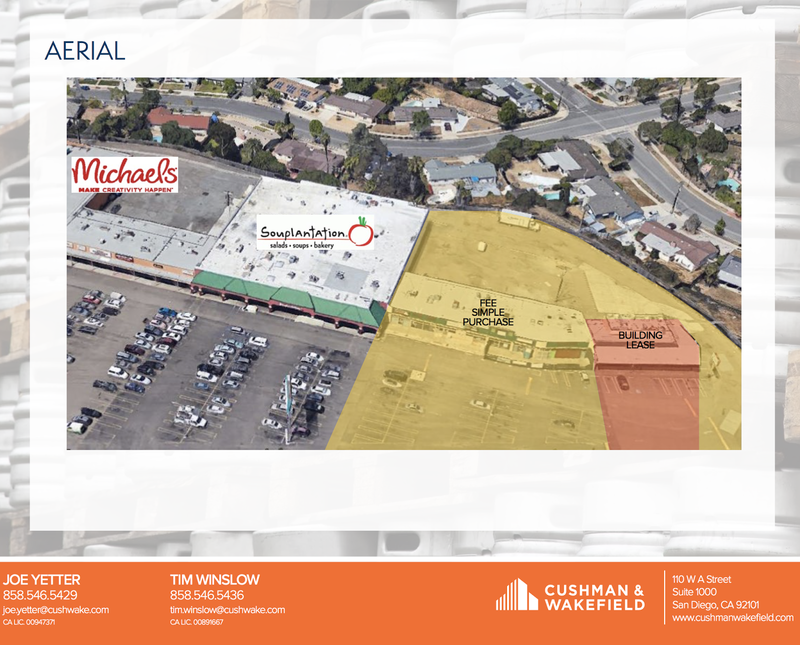 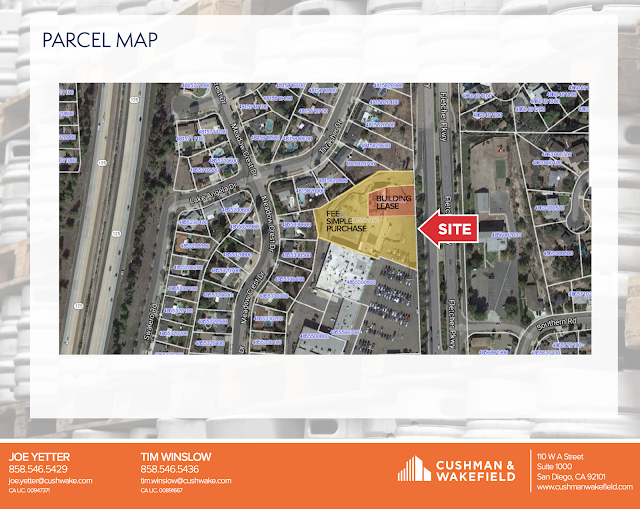 Unfortunately, Dean has faced a whole host of administrative and financial hurdles in getting his Depot Springs project off the ground and the facility is currently on the market for sale with commercial real estate brokerage firm Cushman & Wakefield at the price of $2.4 Million. "We are working with some other breweries and trying to reposition the project or just sell." 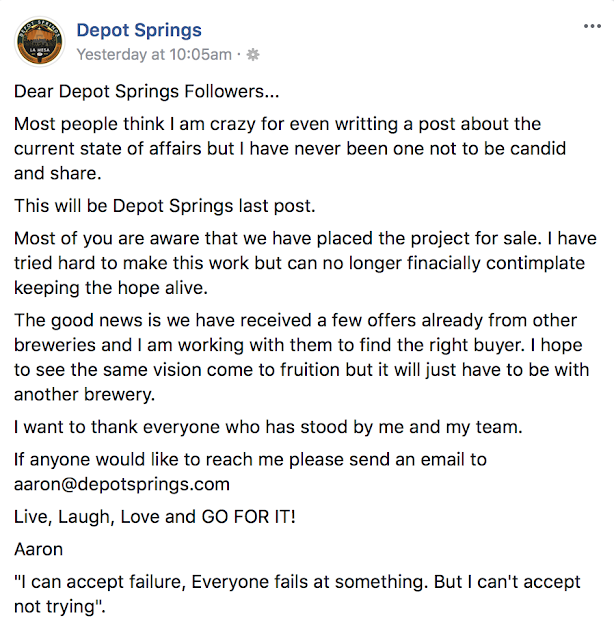 commented Dean. "We have hit too many obstacles to continue as Depot Springs." 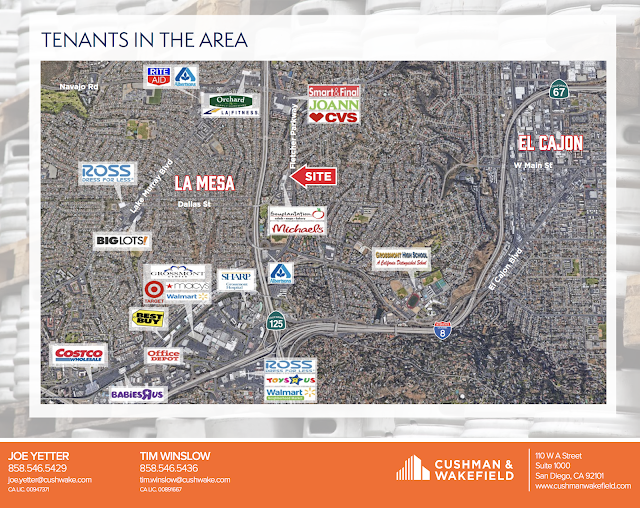 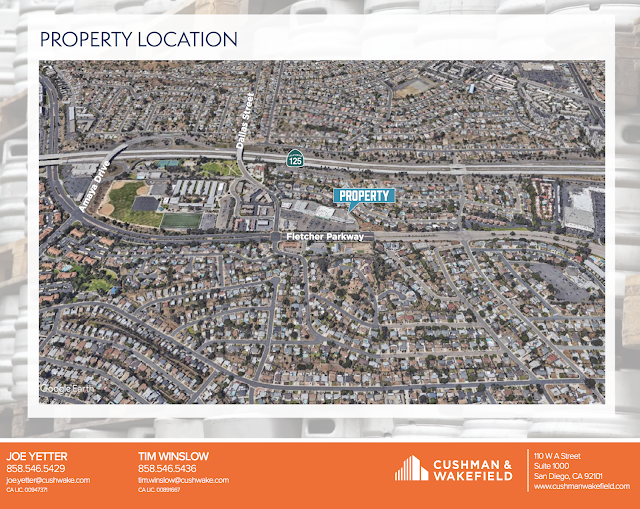 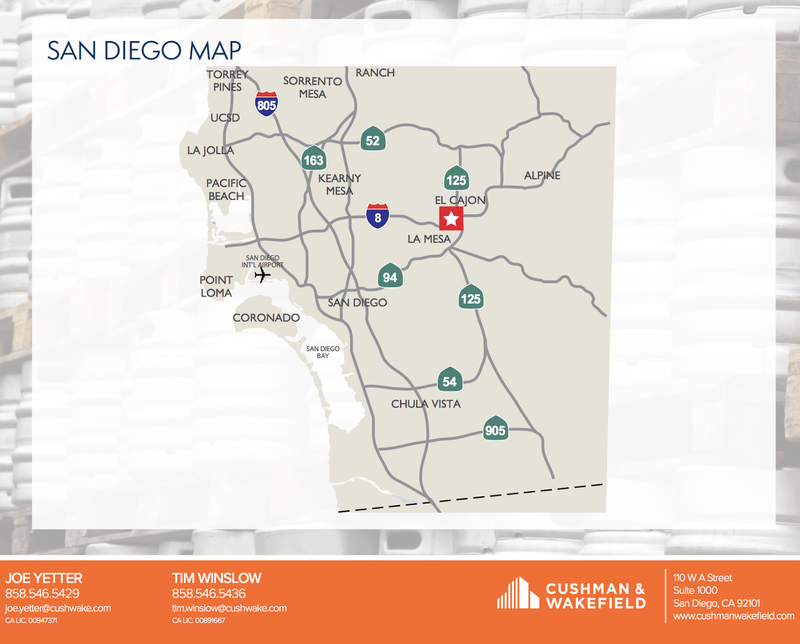 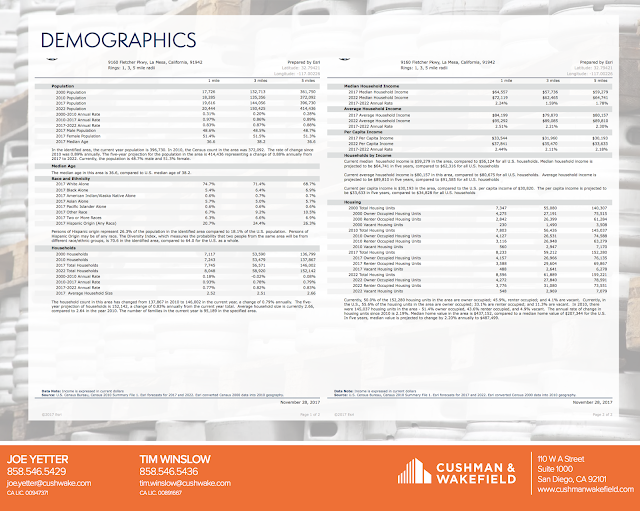 For more information, see the Cushman & Wakefield brochure below.